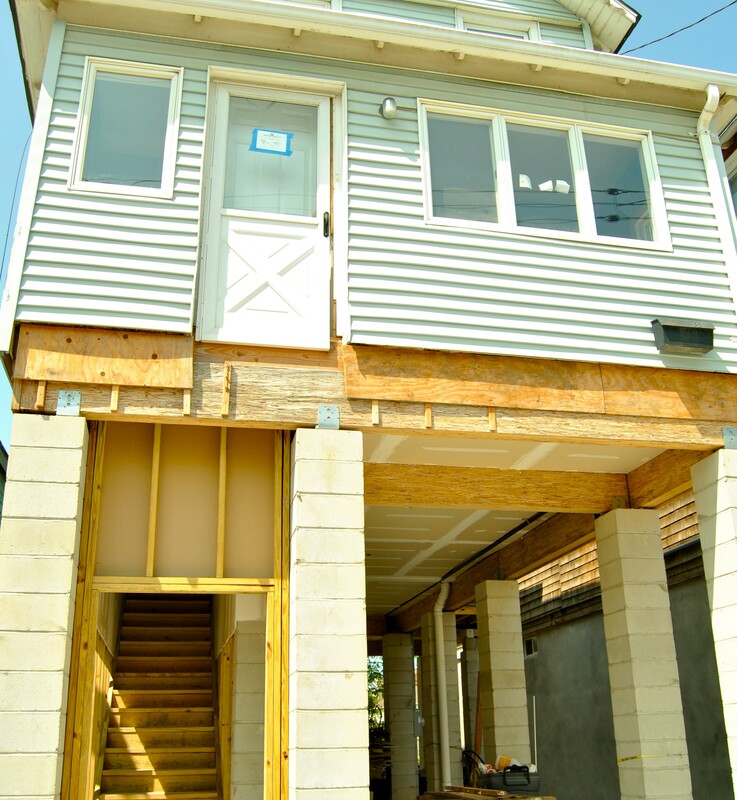 Many residents who lived through Sandy are now raising their homes so they can be better prepared for the next storm. First-floor garages are built to be ‘floodable’ and give the added benefit of off-street parking. Bain’s Hardware store is open, but boarded up on one side. Along the side streets off of Ocean Avenue, the commercial spine of the peninsula, residential houses are at various stages of disrepair, repair, and in some cases, are being raised, with cement garages inserted under the first story. Sea Bright’s municipal offices have been temporarily located in a gym. Some residents, including current mayor Dina Long, still haven’t been able to move back into their homes. 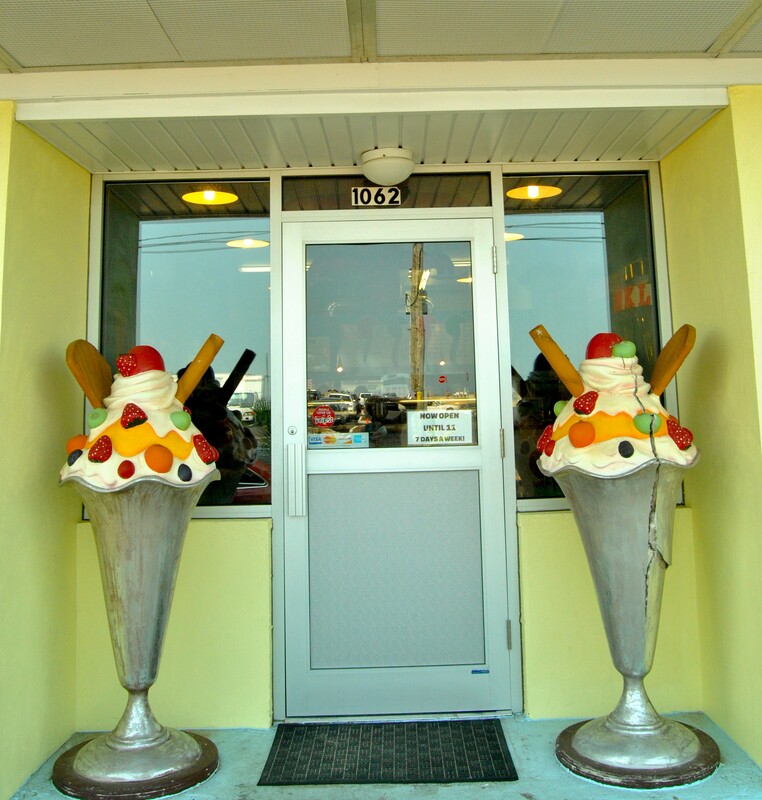 “Probably about half of the original restaurants in town never reopened after the storm—they’ve turned over,” said Michelle McMullin, the owner of a local ice cream shop. 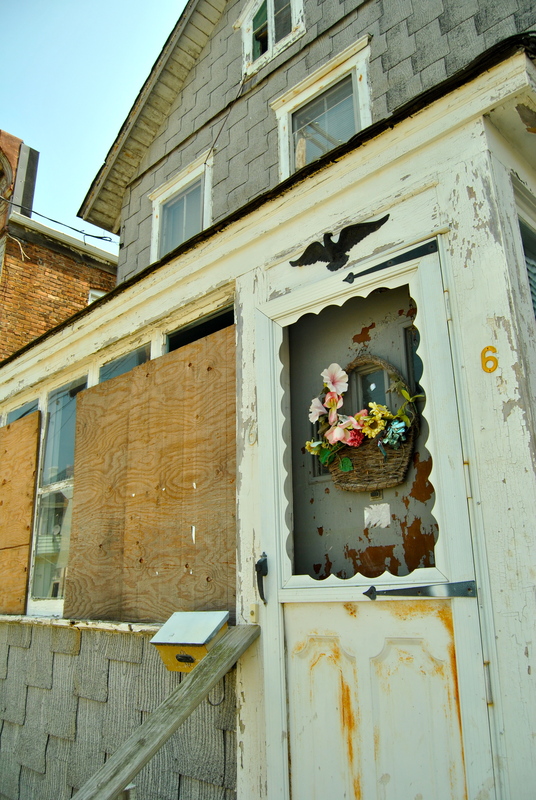 McMullin toiled to reopen her shop by August of 2013, nine months after the storm, only to close again the following winter when tourists were lethargic to return to Sea Bright. Over a cup of her homemade mint chocolate chip, she tells us her Sandy story: How 11 days after the storm, she returned to the store to find that Sandy had churned through “like a washing machine,” tearing up a 2500-pound freezer that had been bolted to the floor and leaving water marks six feet high. Today, thanks in part to flood insurance, the building has a stronger glass storefront with smaller raised windows and a new flood-hardy floor, and business is finally bustling. But McMullin has post-traumatic stress (“we all do,” she says) and doesn’t think she could live through the emotional turmoil that another Sandy would bring. “I’m still thinking about it every day. 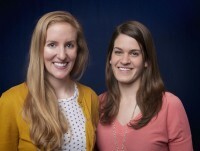 We’re hoping and praying, quite honestly,” she said. 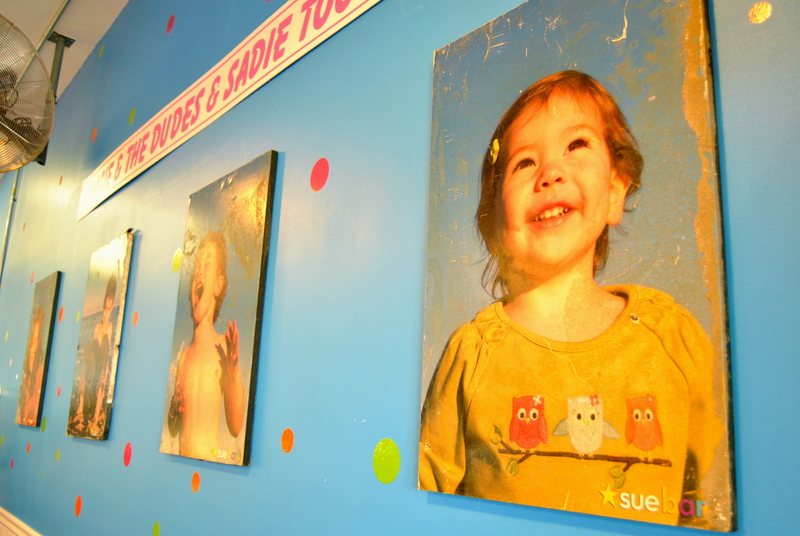 Michelle McMullin’s ice cream shop is called ‘Gracie and the Dudes… and Sadie, too’ after her four children. She recovered their storm-battered portraits, one of which ended up on the beach two miles away, and re-hung them in the store. Unfortunately, though, it is not unlikely that many Sea Bright residents will experience another Sandy-sized storm in their lifetimes. In fact, the sequel could be scarier. Sandy actually hit at the lower of the two daily high tides on October 29, 2012, and by the time it tore through New Jersey, it was a Category 1 storm. A Category 3 storm would have doubled the flooding. For groups such as JCNERR that have been ringing the alarm bell about climate change and coastal hazards for years, Sandy presented a window of opportunity—and a dilemma. Before the storm, JCNERR and several partners had created a web-based questionnaire called ‘Getting to Resilience’ that would help New Jersey coastal communities assess their vulnerabilities to sea-level rise and storms and begin preparing. They worried it would sit on a virtual shelf. But Huch and his colleagues have now partnered with 20 New Jersey municipalities jolted by the storm—including Sea Bright—to do the assessment. 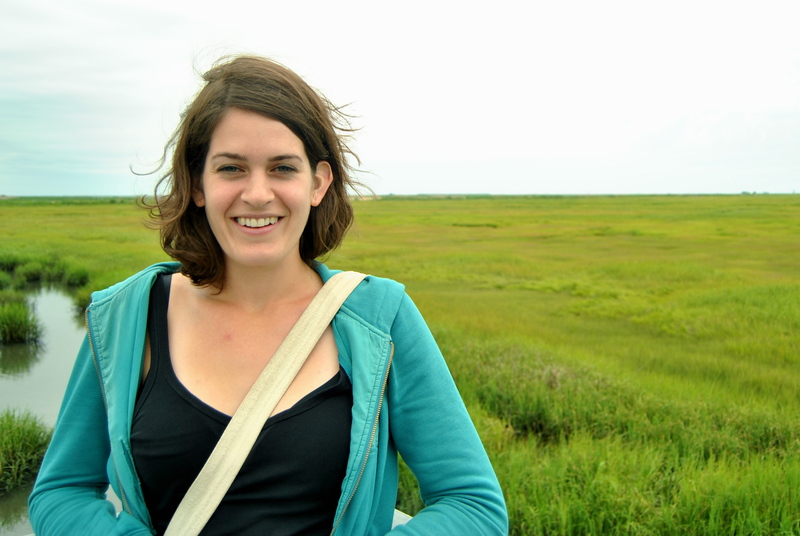 Lisa Auermuller, watershed coordinator at the JCNERR and lead facilitator of the Getting to Resilience community projects, struggled with the balance between immediate recovery and longer-term planning. On the one hand, the recovery period is a key opportunity to build back better rather than just building back to normal, and a big storm can be a key motivator for getting local governments and residents to take action on resilience projects that may have been on the back burner for years. But communities such as Sea Bright that were still removing mountains of sand and debris from the streets months after the storm might not be ready to look at sea-level rise maps. Steve Nelson shows us some plans. 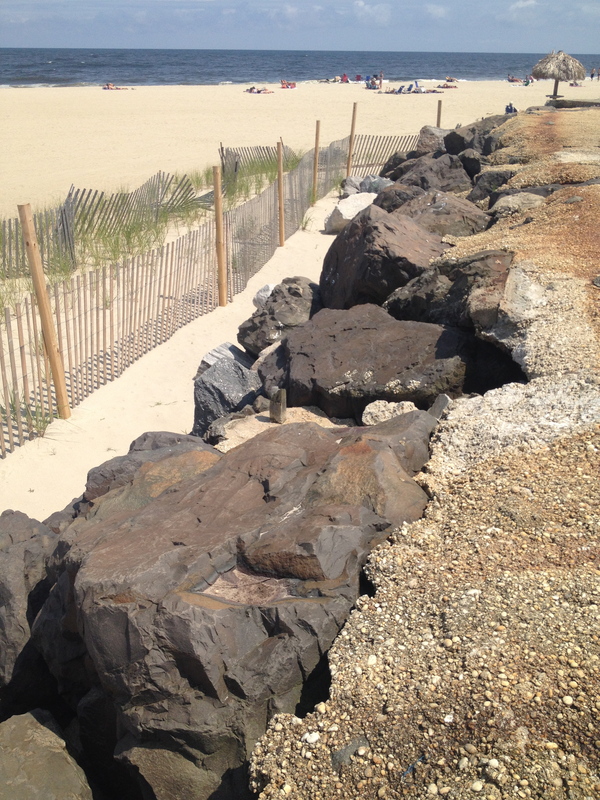 He has an 18-month contract to work part-time for Sea Bright as an ’embedded’ long-term recovery planning manager. 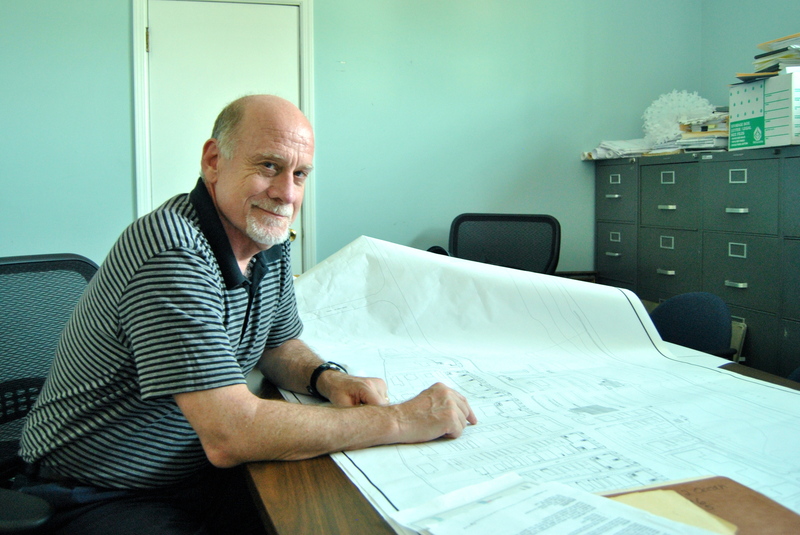 One year later, once some of the shell-shock had subsided, JCNERR was able to partner with Steve Nelson, who is ’embedded’ in Sea Bright as a Local Recovery Planning Manager, as part of a new approach to disaster response that’s being tested by non-profit New Jersey Future. Typically, dedicated disaster assistance lasts for a relatively short term after an extreme event. New Jersey Future is endeavoring to change that paradigm by providing part-time staff planners to help Sea Bright and six other Sandy-affected towns over an 18-month period. The idea is that by ’embedding’ within the communities over a longer term, Nelson and the other planners can, not just help the towns make plans, but also see some plans through to be implemented. The seawall lies between the beach and the town. Though costly to repair after Sandy, residents agree that it’s their necessary given their low-lying reality. As part of the Strategic Recovery Planning Report (SRPR) that Sea Bright was required to create to be eligible for state post-Sandy planning assistance grants, Nelson and JCNERR staff carried out the Getting to Resilience process. They convened key officials, including several Council members, the floodplain manager, and the borough engineer, to work through the web-based questionnaire together. 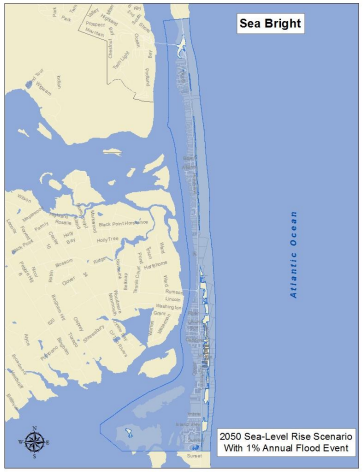 JCNERR then prepared recommendations for Sea Bright that focused on actions that would help Sea Bright get into the National Flood Insurance Program’s Community Rating System, which rewards efforts to reduce vulnerability with lower flood insurance rates. These were incorporated into the SPRC along with additional recommendations about key infrastructure improvements, creating a debris removal plan, mapping key infrastructure like gas lines and fire hydrants so that they can be easily located after a disaster, and creating protocols for communication. But the town isn’t quite there yet. In recent months, though, Sea Bright has been able to commit to some upgrades—in recognition that they can at least try to be better prepared for Sandy II, if not a bigger storm. Plans have been set in motion to fill a gap in the seawall that runs the length of the town. 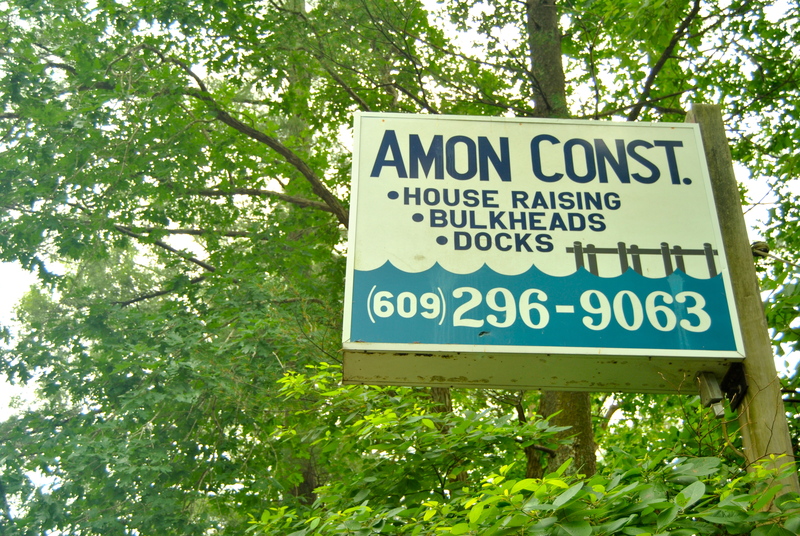 On the river-facing side, which is more vulnerable to flooding than the oceanfront properties because there is no beach between the homes and the water, the town has plans to raise public bulkheads (though it has no say over the many privately owned bulkheads). 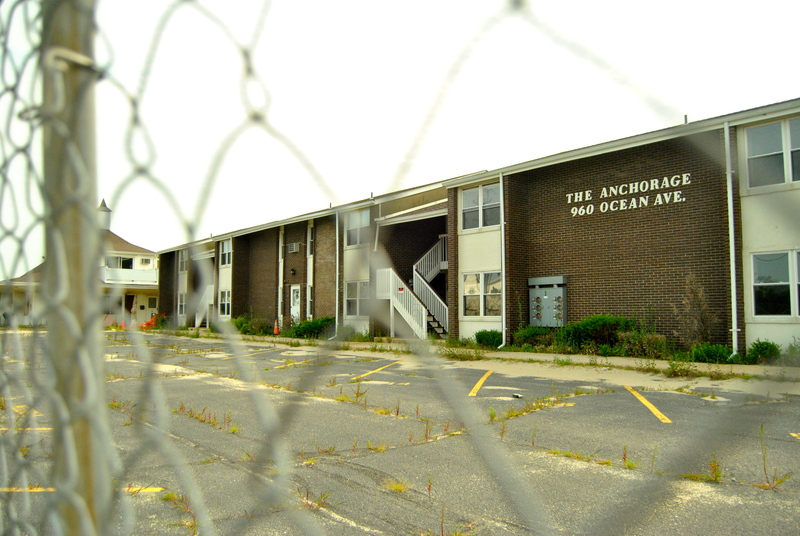 And in a show of flood-smart retreat, the state—with the help of a wealthy Sea Bright neighbor who agreed to pay commercial taxes on the property—used a buyback program to purchase Anchorage Inn, a local business repetitively flooded by the river, with the intent of turning it into a park. The Anchorage Inn is the first property in Sea Bright to be ‘bought back’. Architectural plans are being drawn up to turn it into a floodplain park. Despite this incremental progress, the transition from recommendations and plans to on-the-ground action is a difficult one. In some cases, there is no plan for getting beyond the plan. For instance, shortly after the storm, the Federal Emergency Management Agency (FEMA) engaged residents in several workshops, letting them prioritize action items such as the seawall and the bulkhead-raising in a Sea Bright 2020 Long Term Recovery Plan. But there was no attached federal funding or follow through. Lawrence thinks that even small actions, such as giving the businesses on Ocean Avenue a new coat of paint and adding some planters along the side of the road, went a long way toward making residents feel like they could see the light at the end of the tunnel. Moving from planning to implementation isn’t just a challenge in small communities like Sea Bright, but also for New Jersey as a whole. 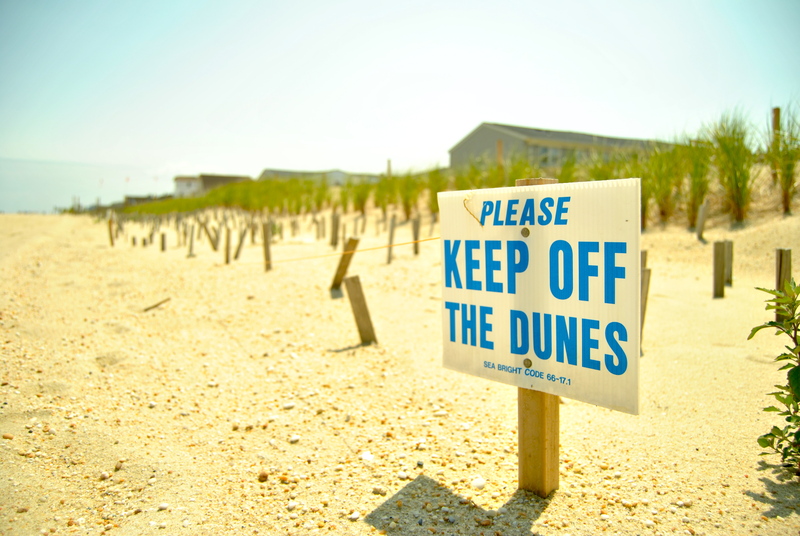 The State has developed a plan for a continuous sand dune system that Governor Chris Christie is fighting for as the only real hope for long-term, comprehensive protection of the coast. The scale of these dunes—perhaps a dozen or two dozen feet tall and more than a hundred feet wide—requires the Army Corps of Engineers to bring in sand, since the time it would take to build them naturally would far exceed the time until the next devastating storm. In Sea Bright, volunteers are slowly rebuilding the dunes naturally, but if the Army Corps doesn’t step in, it might take too long. Many property owners see the need for the dunes and are willingly signing the conservation easements the state needs in order to begin work, but hundreds of homeowners concerned that they will lose their view of the ocean are holding out. Meanwhile, the Army Corps is spending millions to replenish beaches to their original design standards, which doesn’t include building protective dunes. 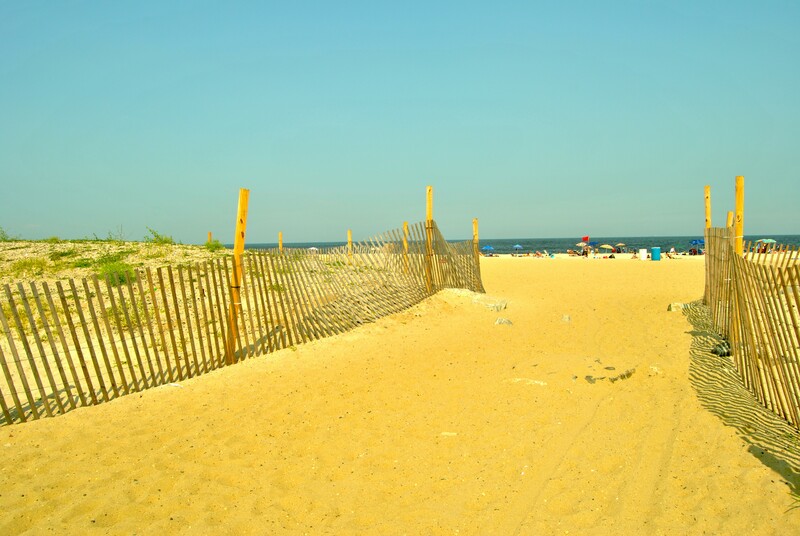 Not wanting to wait, this spring Sea Bright volunteers started the slow process of naturally rebuilding dunes by planting dune grasses and installing sand fencing. 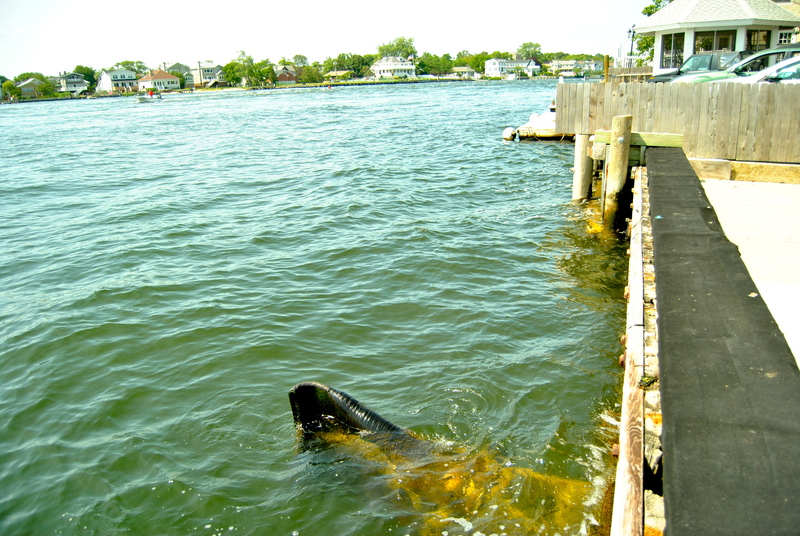 On the riverside of Sea Bright, even a normal high tide rises close to overtopping the bulkhead. Raising it is a priority for the town. Nelson is racing the clock of his 18-month position to get some more long-term planning items in the pipeline. He has received a grant to create a hazard mitigation plan for the remaining ‘repetitive loss’ properties in Sea Bright—a FEMA term for homes that flood frequently. 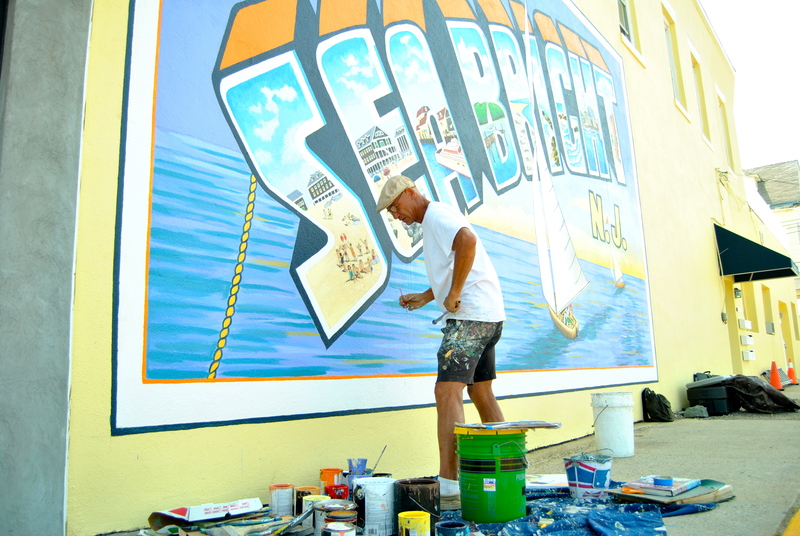 He also plans to help update the town’s master plan and create a disaster response plan, and he hopes that his funding—which comes from the Dodge Foundation, the Merck Foundation, and the New Jersey Community Foundation—might be extended to allow him to continue work in Sea Bright for a total of three years. Nelson says he is an optimistic person by nature, but the immensity of the task has been weighing on him. For now, New Jerseyans are beginning to incorporate a bit more transience and uncertainty into their lives. Some residents in flood zones are timing their entrance and exit to their homes based on the tides. Lifted trucks are becoming more popular. And more contractors are making a business out of home-raising. 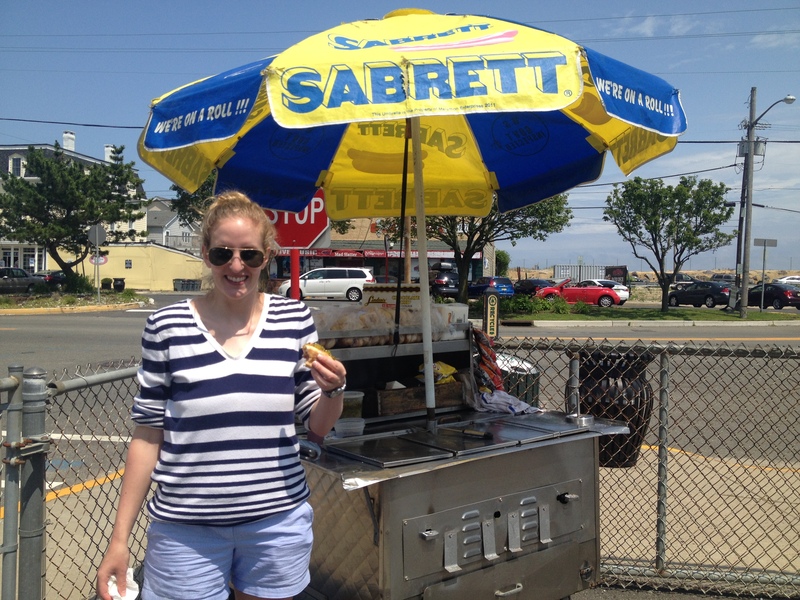 Mrs. Rooney’s hot dog stand is a pinnacle of resilience as the business approaches its 50th anniversary in Sea Bright. Kirsten helps keep business booming. Wow. Great article. Lots of challenges.